If you're like us and many other Sikhs around the world, you've been using the windows mobile/laptop/iPhone/iPad/other devices to read Gurbani with. Fret not O siblings of destiny, for the great Guru has blessed us with another type of device to grace us with the Shabad. 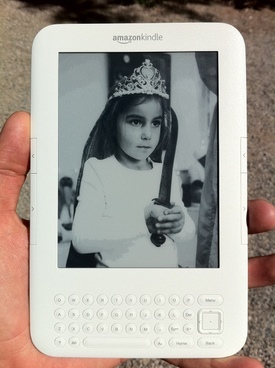 ebook readers use a display technology called e-Ink that is very readable and puts very little strain on the eyes. The process of getting Gurbani on it is very simple and all you need do is to copy the beautifully formatted PDF files to your e-reader. We spent A LOT of time formatting and putting together the bani files for easy reading and making the files look beautiful. We wanted to make these files as easy to use and beautiful as we can, by adding a floral frame and taking time to optimize the font sizes and formatting. Little eye strain, just like reading a paper nitem gutka. It's great for traveling, the battery will probably see you through a few sehaj paaths before it needs recharging. It's great for reading other books on. The bookmarking feature is awesome, and allows you to resume your bani from where you left off; especially if you're like us and take like a week to finish a Sukhmani Sahib. MUCH cheaper than an other electronic devices like iPad and has battery life for many weeks. Very portable. These devices are smaller than books and very light. 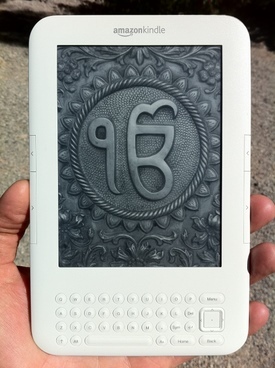 You can take hundreds and thousands of books on these devices along with your Gurbani very easily in your purse or bag. It's more expensive than a paper Gutka. They cost $80+ US Dollars. No Gurbani search functionality. But then again, neither does your Gutka. Have to carry an additional device around with you (as well as your phone), though at the same time might save you from bringing other things like physical books and Gutkas. We have formatted these files to fit a 600x800 px display. That works for most e-readers including kindle, nook, Sony e-readers (though we have only been able to test on the Amazon Kindle Devices). Note: the Kindle DX is a much larger screen and has a different aspect ratio but will display everything great. If you like really big text for easier reading you might like to read the banis on a Kinde DX. Due to the limitations of displaying Gurbani text on various e-book readers we have made most of the bani files available as downloads in PDF format which most any e-book reader should be able to display. These files are great for doing a Sahaj Path of the the Siri Guru Granth Sahib. You can download and read the Siri Guru Granth Sahib at your own pace. There are 1430 pages in this document so each page contains the full Gurbani that is on the original Siri Guru Granth Sahib page. 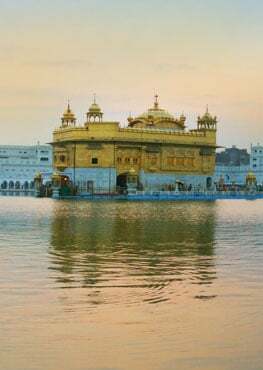 This version doesn't have any page numbers that match the Siri Guru Granth Sahib, however you have the flexibility to change font sizes and use features that are native to the Kindle ebook and other readers. As with any digital device that I get, I like to customize it and tinker to make it more personal. That is part of the fun and making it my own. On the Kindle when you stop reading for a while it switches from displaying your book text to it's screen saver mode which displays the standard kindle "screen saver" images. I wish they had made a simple standard method to change these images, but fortunately there is a simple "hack" that you can do to your Kindle to allow you to add your own custom images to display. Whenever someone looks at my Kindle with MY OWN cool custom images, they always ask, "How did you get your own images on the kindle?". It was very simple to do and only took a few minutes. Here is how you can "jailbreak" your Kindle. Follow the tutorial here. Once you have done this you can download and copy the screen saver pictures I made on to your Kindle. I went through lots of my photos and picked out some that I then optimized for display on the Kindle. I thought you might enjoy downloading some of these to add to your eBook reader if you have one! 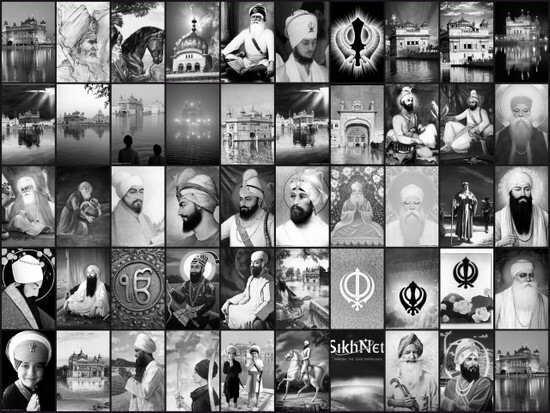 I left out most of the family pictures that I made and left most of the more general Sikh related ones to share. 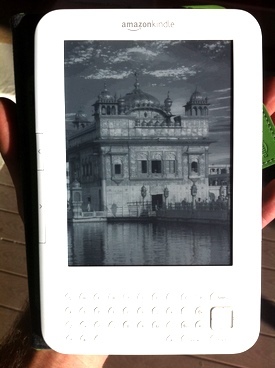 I doubt you want to have pictures of our family, Narayan and Charanjeet all over your kindle. :) See how nice and portable the e-Reader is? Click on the picture below to see a larger version of the below "collage"
The Living Reality (eBook format) - by Bibiji Inderjit Kaur Khalsa Ph.D. The book covers common Questions and Answers about life as a Sikh, under the guidance of The Siri Guru Granth Sahib. This is oriented in Question & Answer format. The Sikh Religion by Max Arthur Macauliffe (4 volume set) - Which is a great source for Sikh history and stories from the times of the Gurus. Published in 1909. Publications by Sikh Missionary Society on lots of topics. Scroll down and download PDF version of the books to your eReader. Q. Which devices will this work on? A. These are just pdf files, so you can use them on almost any e-reader or even any computer or device that can read PDF files. Check with your product to make sure it supports pdf viewing. A. These devices do not support the Gurmukhi font so you cannot increase the font size of an existing text file. That is why we have to use pdf format. We could make different pdf versions with different font sizes upon request, but we chose a font size that is large enough to be easily read. We did upload a kindle format file for the English translation of the Siri Guru Granth Sahib [see above] so that you can dynamically change font size while reading. Other English translation files in kindle format can be made available upon request. Q. Can we have our English/Hindi/Urdu/Japaneese/Spanish bani? A. Yes, drop us an email and we'll look into it for you. Q. How to I get the bani files on my Kindle? A. Connect the USB cable to your computer (that came with your kindle). The kindle should show up as a new drive called "Kindle"in "My Computer". Browse to the documents folder on your kindle and copy the downloaded bani files to the "documents" folder. Unplug the kindle and it will refresh and you should now see new "books" on your list in the kindle. Q. How can I format my own pdf file for my e-reader? A. Almost every e-reader is in 600-800 px. aspect ratio (Kindle DX is 825x1200). Create a Word document that is 7.55x9.8 inches. We have found that to work perfectly with the Kindle. Save your file as pdf and be sure to use the "save in smallest size" output options. - For Kindle DX - Create a file that is 7.2x11 inches. Q. After downloading the pdf's how can I add them to my Kindle? A. Plug your kindle into your computer with the USB cord, it should appear in "My Computer". Open up the "documents" folder in your kindle device, and simply copy the pdf's in that folder.